When the snow flies hikers don’t need to stop exploring the mountains and trail runners don’t need to retire to the gym –No siree! It’s snowshoe season. The Wasatch Mountains thrill in the winter. Gorgeous views from mountain passes and peaks, or a snowy trail climb above the inversion of the valley. There are waterfalls to snowshoe to, and mountain lakes covered in snow and ice. Even moonlite snowshoe treks are popular. 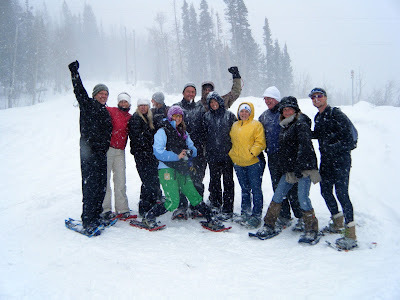 For a list of trails that wind through the Wasatch Range in a variety of canyons go to www.SnowshoeUtah.com. Each trail has a PDF that you can print off – a free guidebook to go. Dress in layers so as your body heats up you can adjust by removing layers. Take water and snacks to fuel and cool your body. A small pack to keep your discarded layers and the afore mentioned trail snacks keeps everything handy. Remember to check avalanche conditions before going into the backcountry. There is a link on the bottom of every page on www.SnowshoeUtah.com where you can go right to Utah’s avalanche center and get the morning report. Easy cheesy! Enjoy the winter in Utah and remember, it’s never too cold to snowshoe – the body generates a lot of heat. Join the SnowshoeUtah.com Facebook community for new posts on trail conditions, events, and gear reviews.